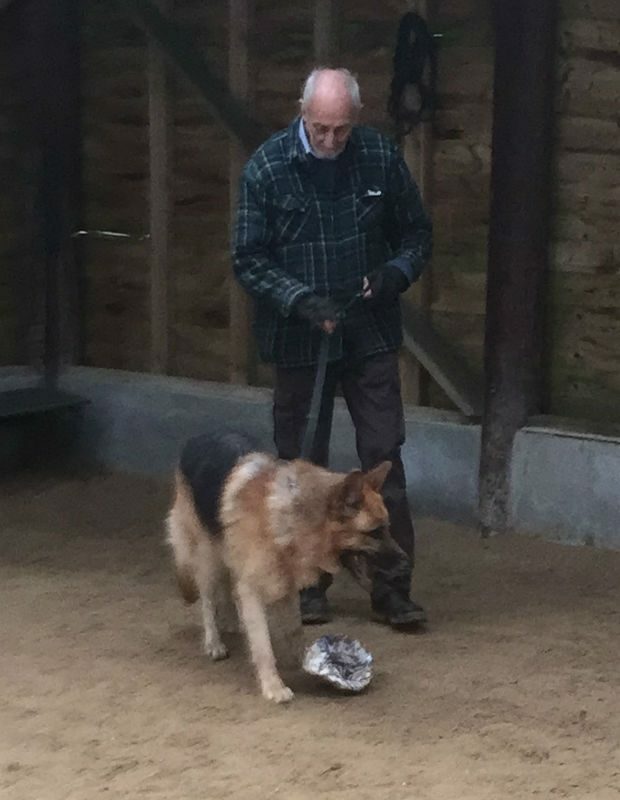 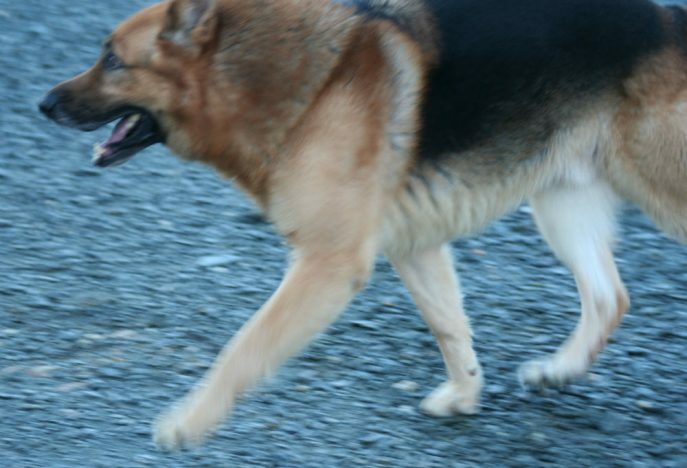 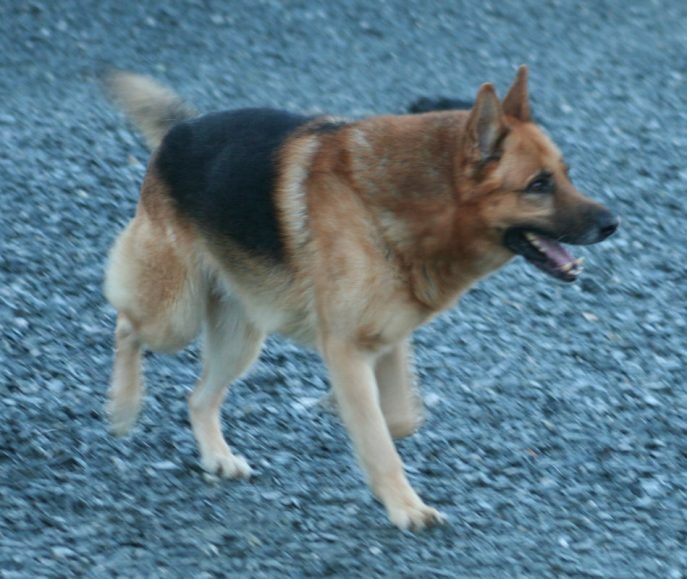 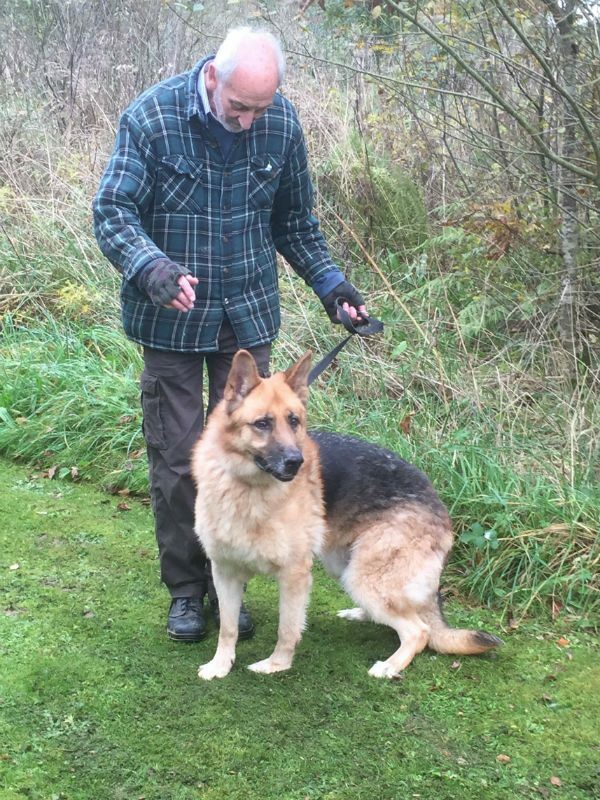 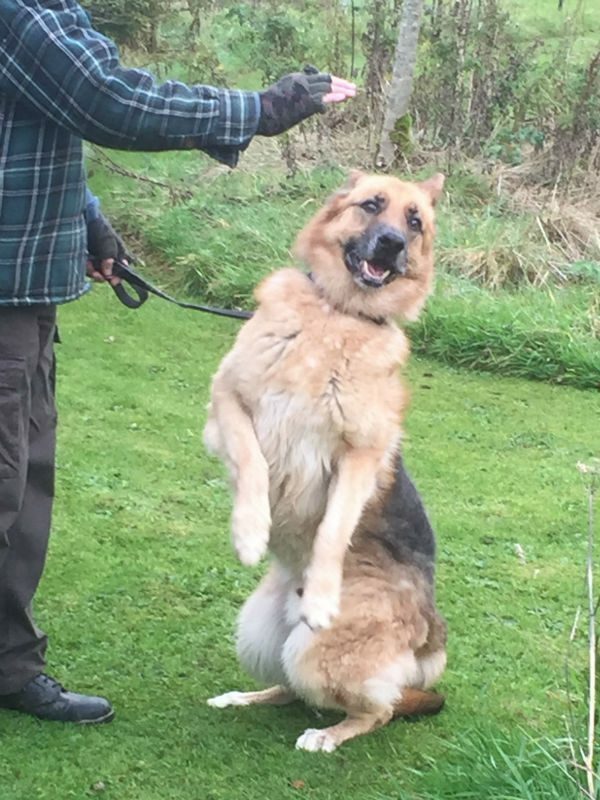 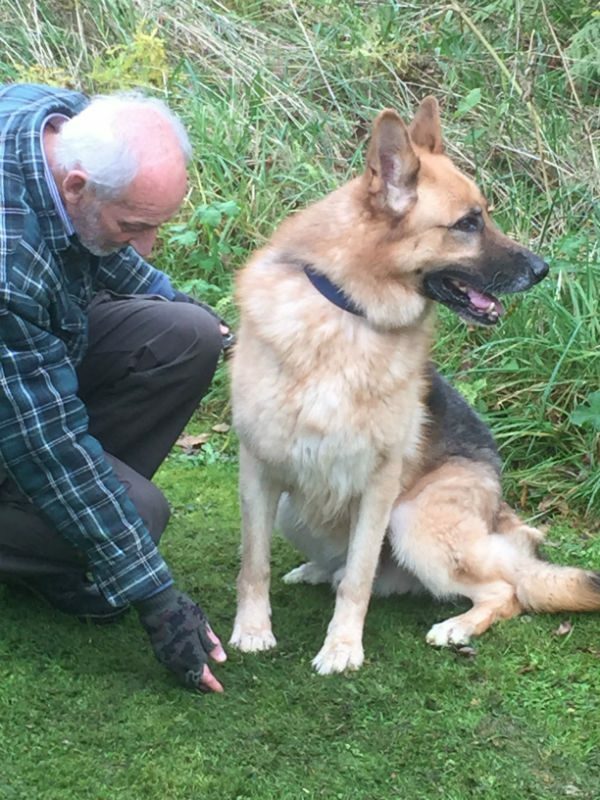 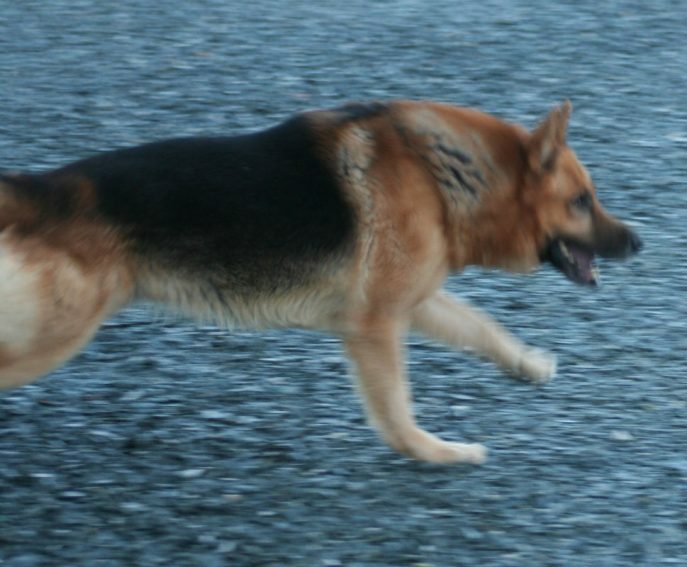 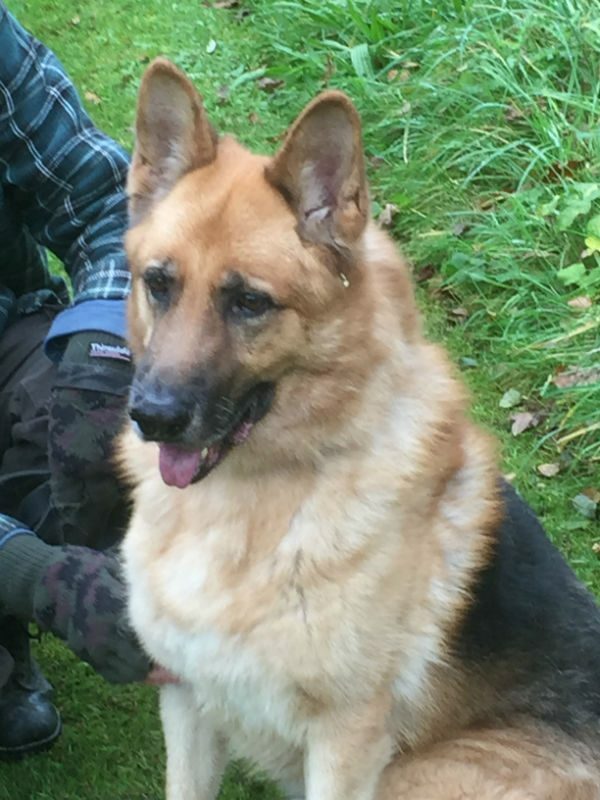 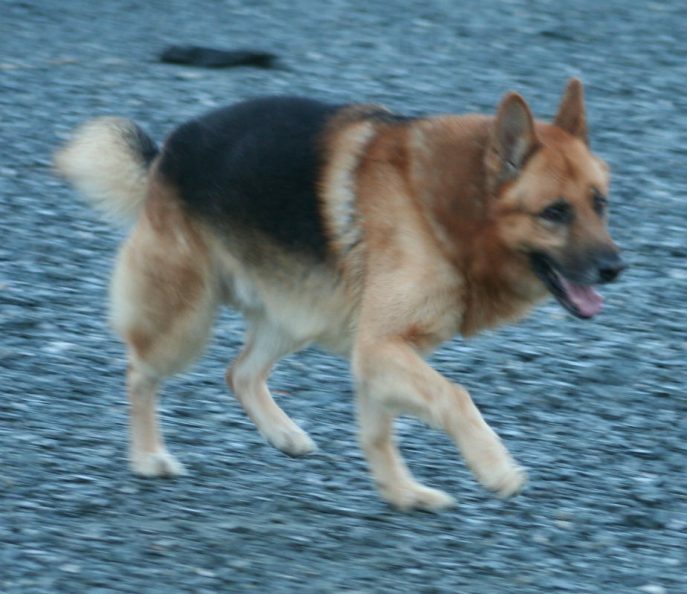 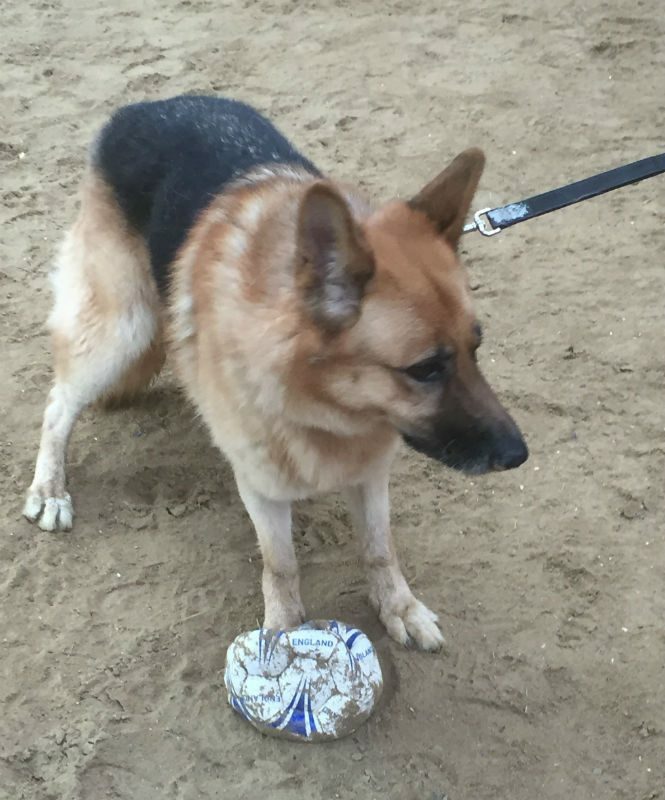 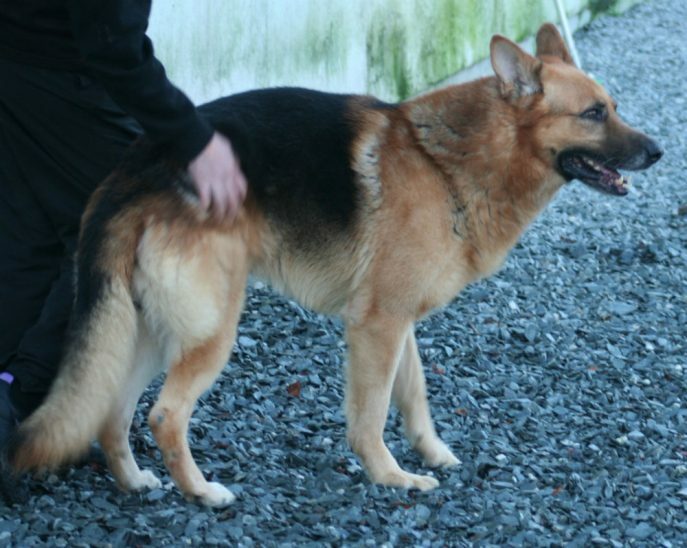 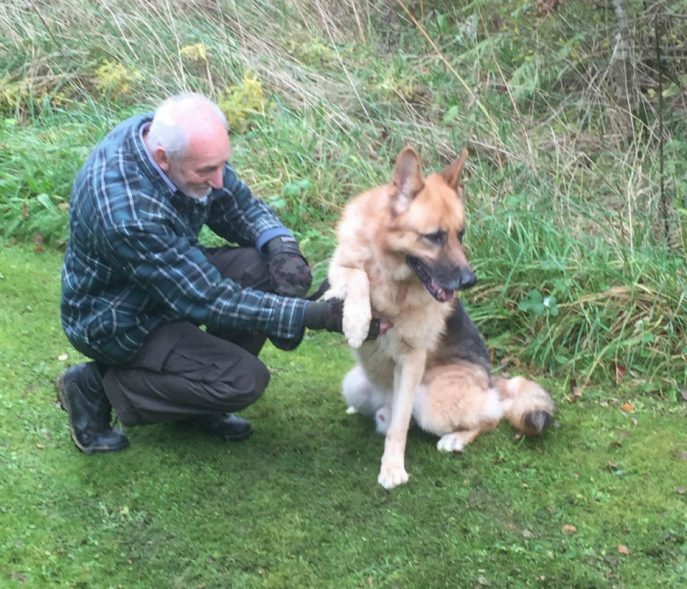 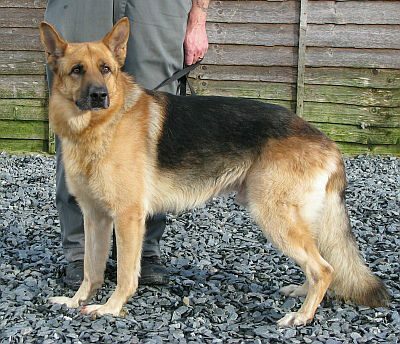 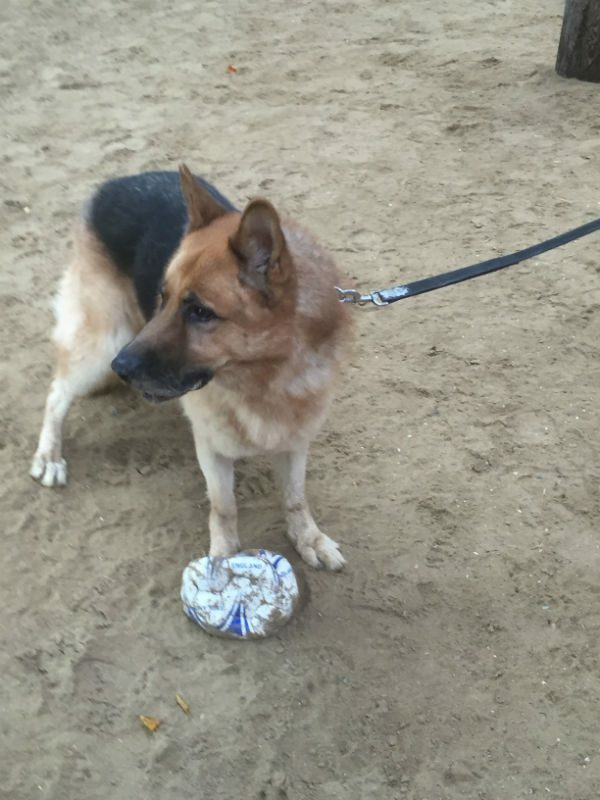 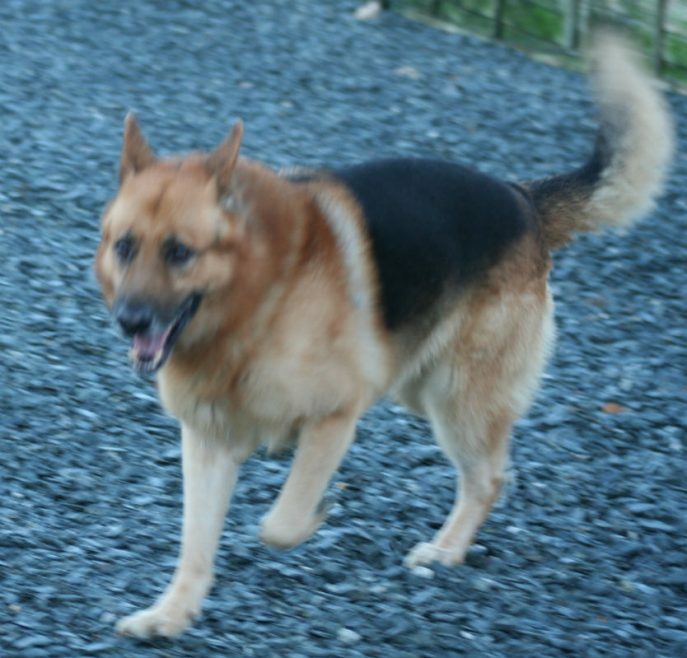 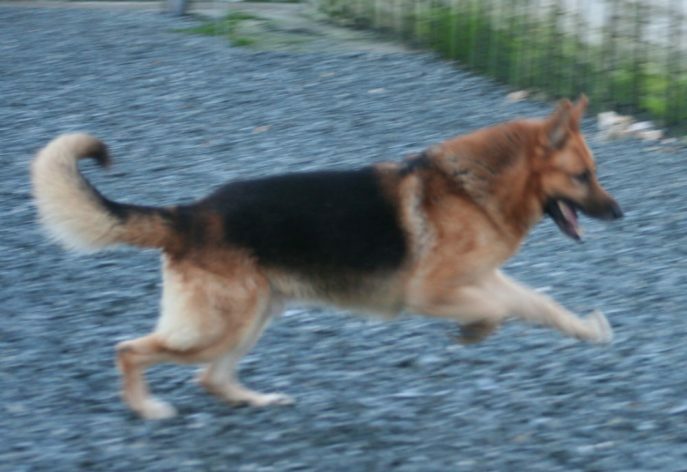 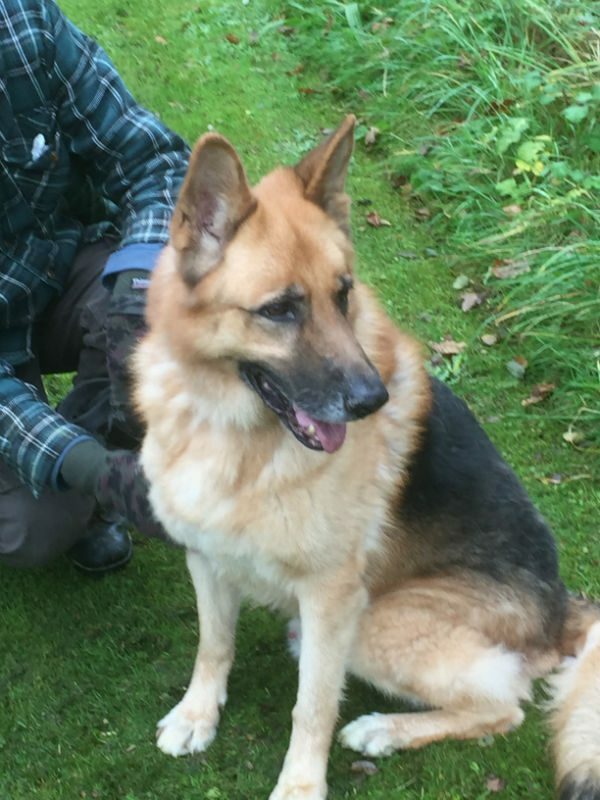 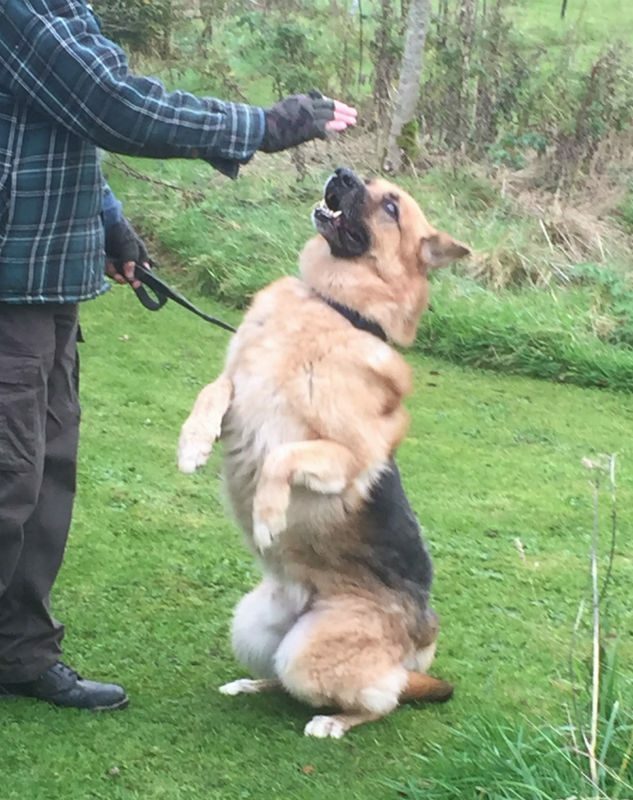 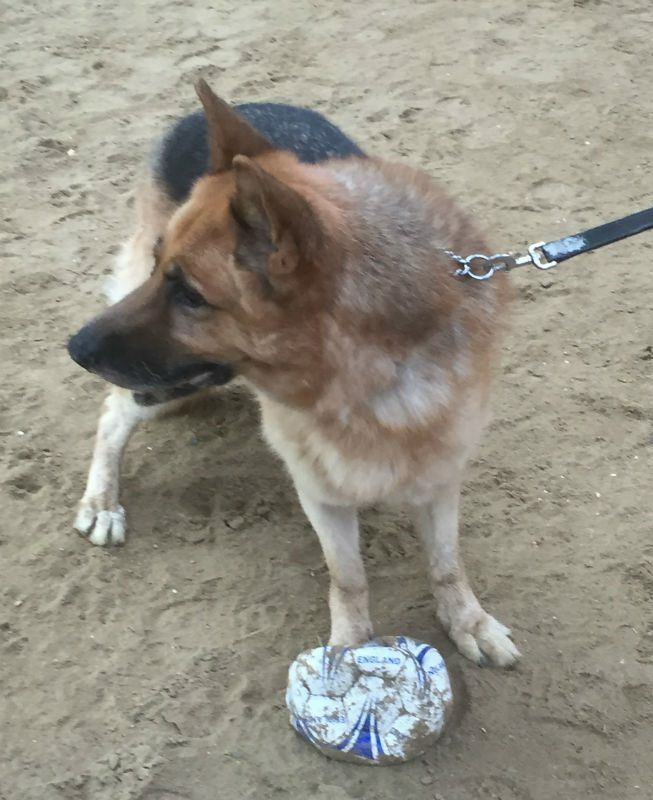 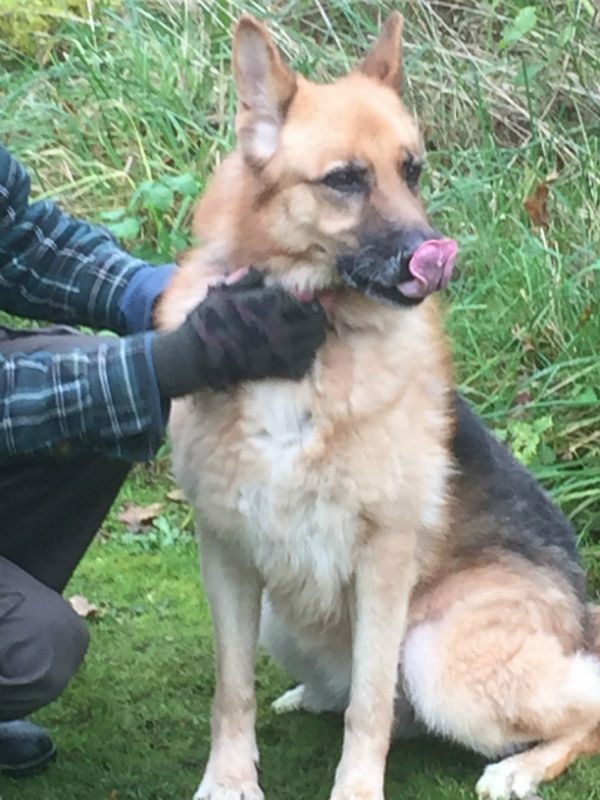 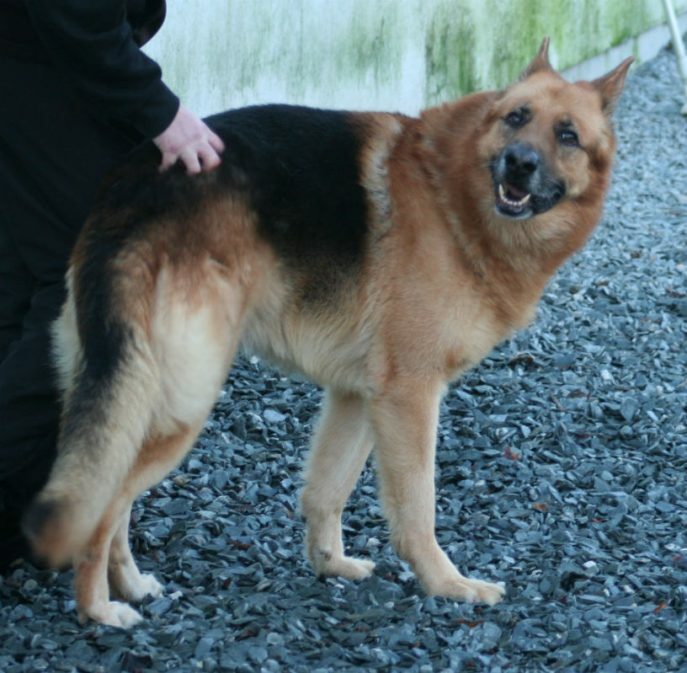 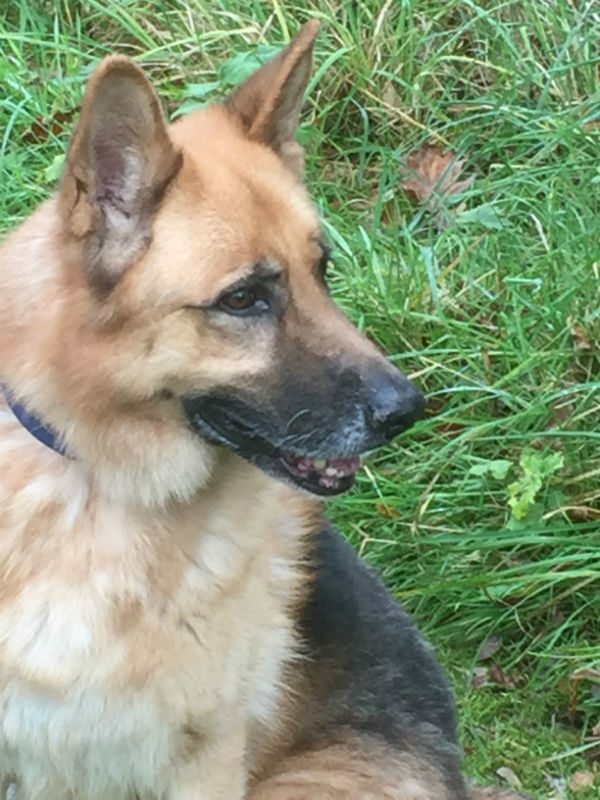 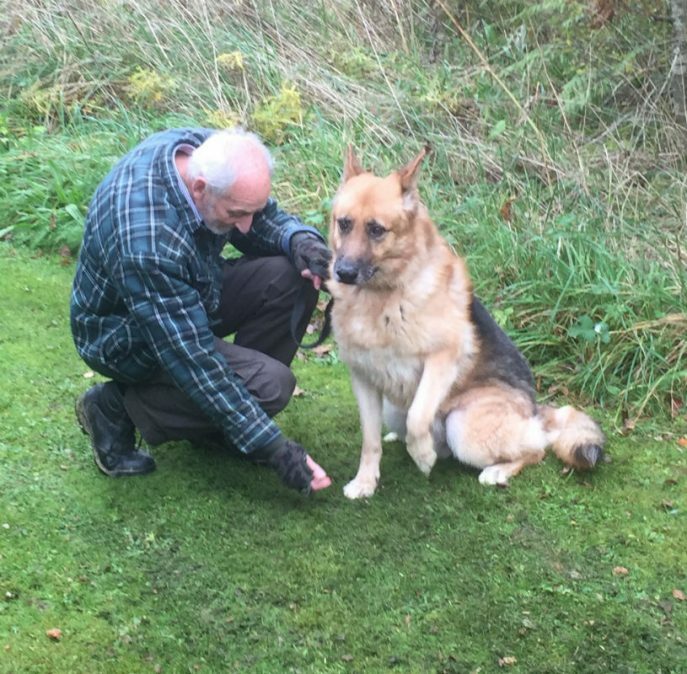 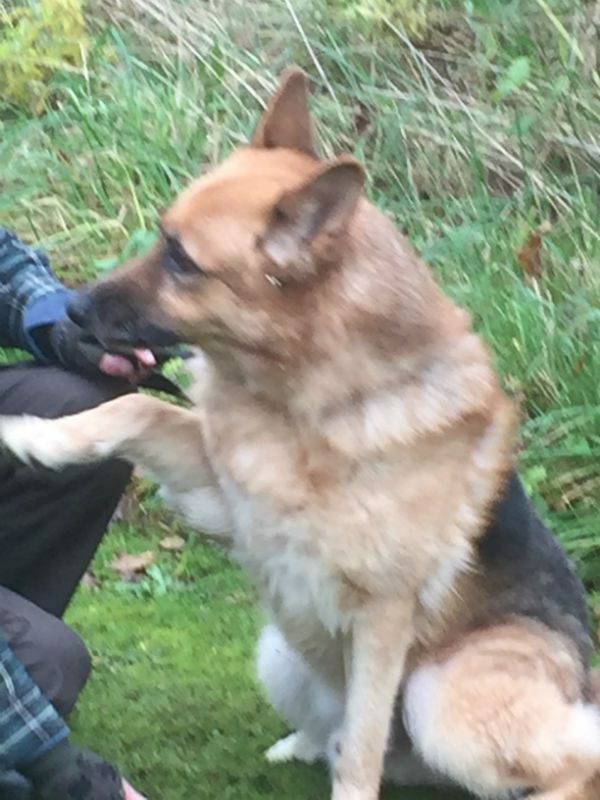 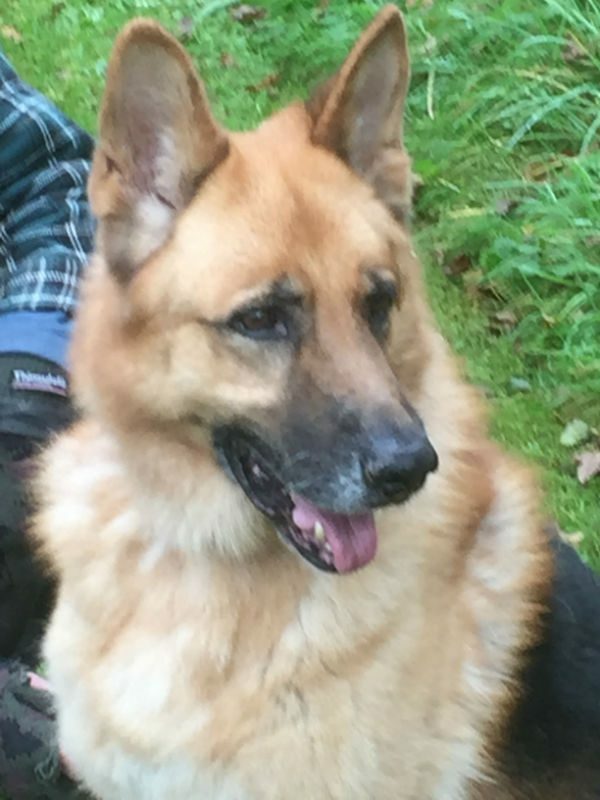 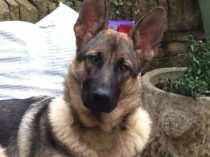 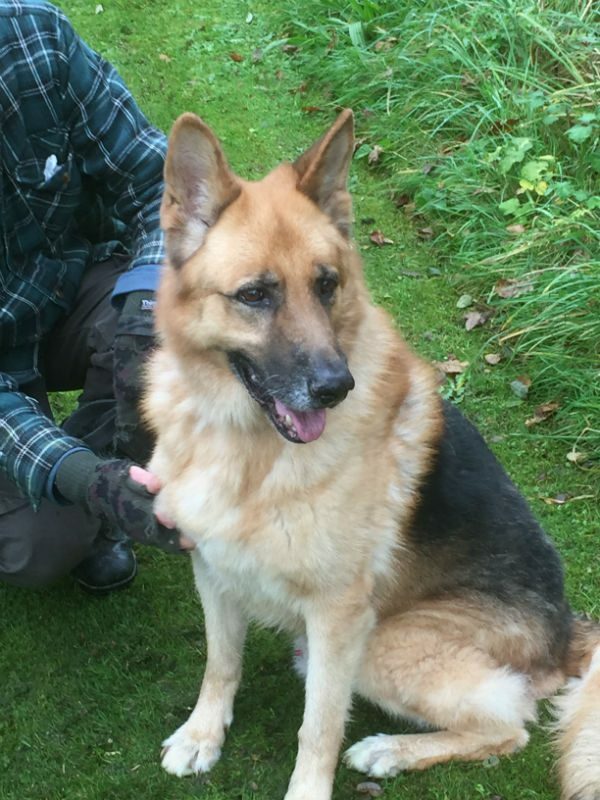 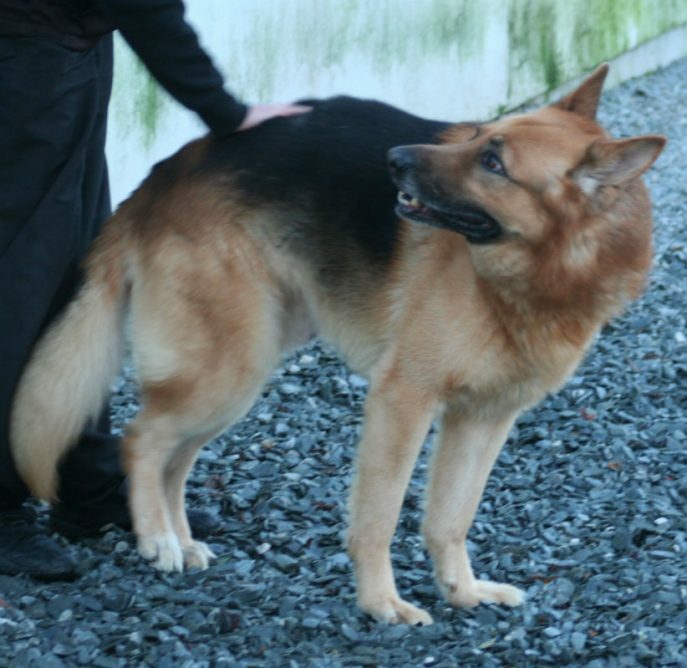 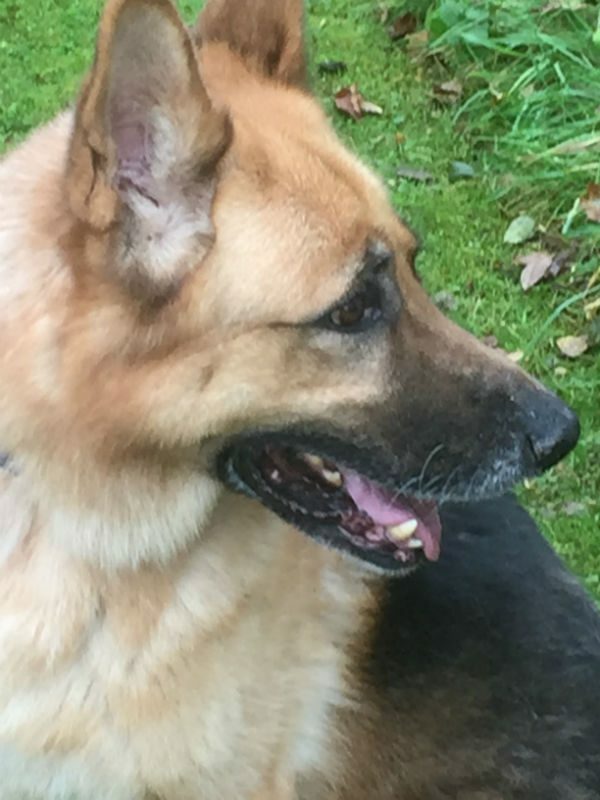 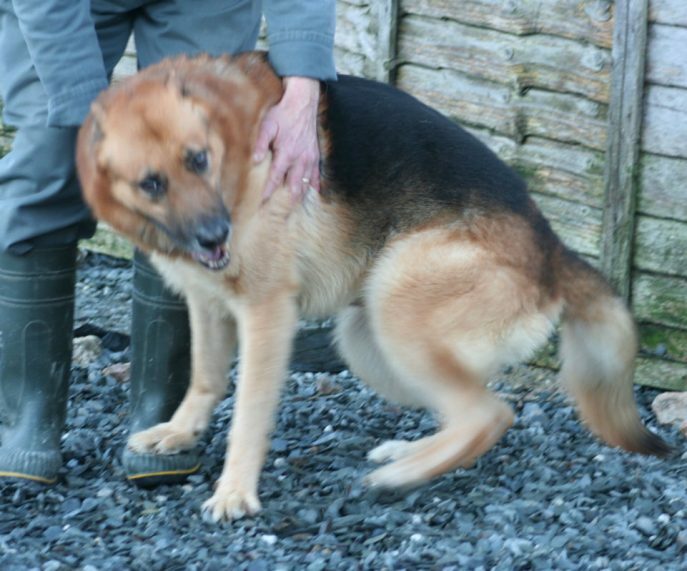 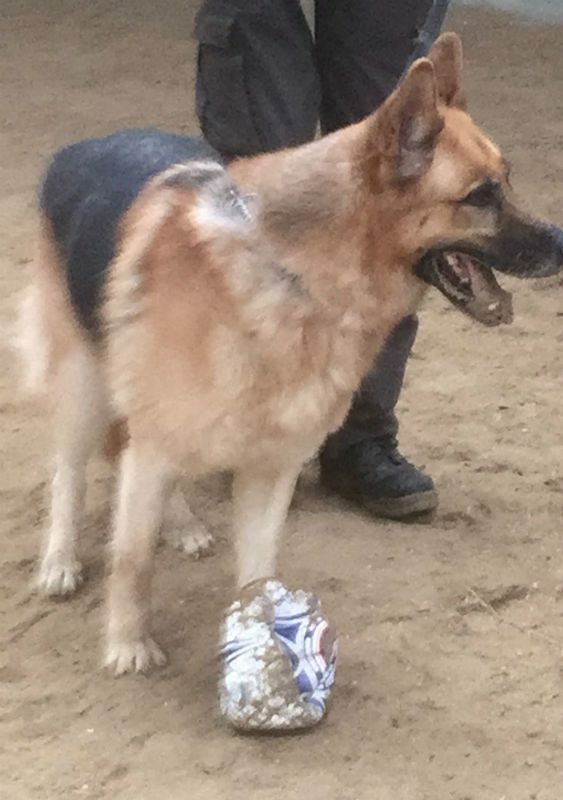 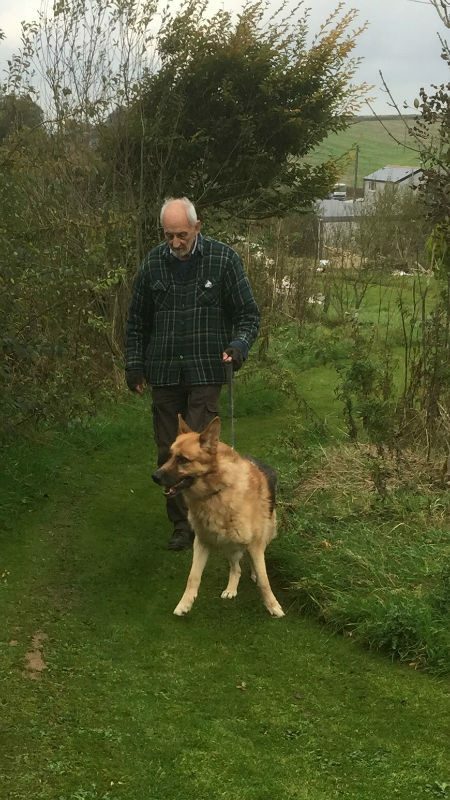 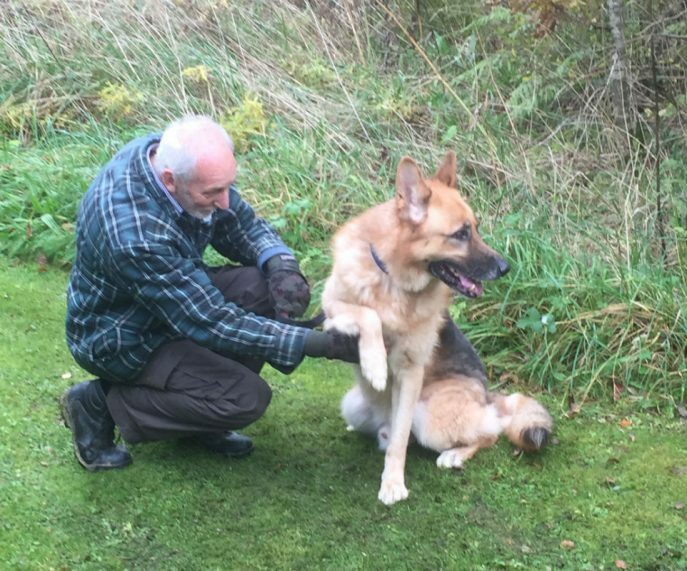 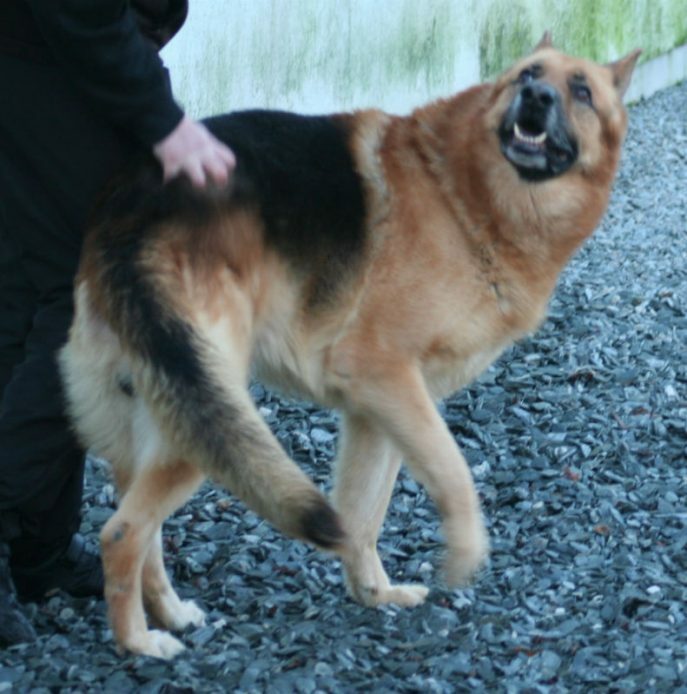 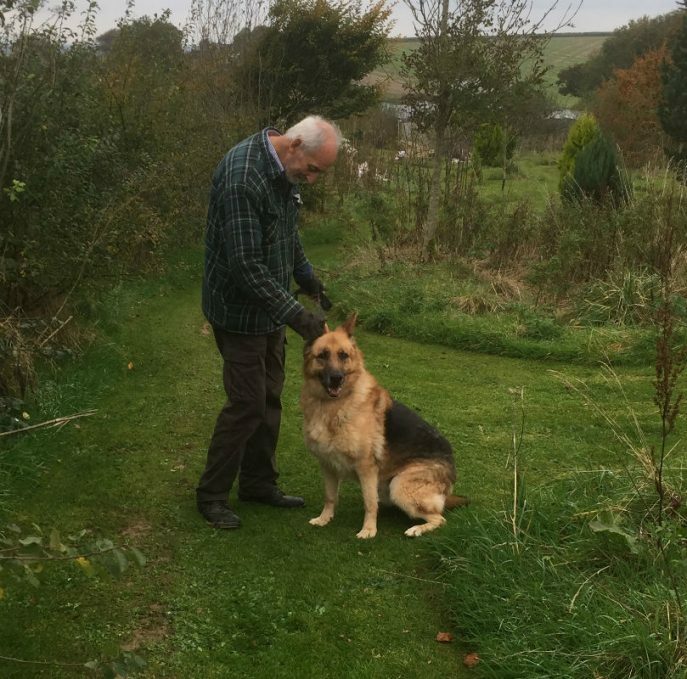 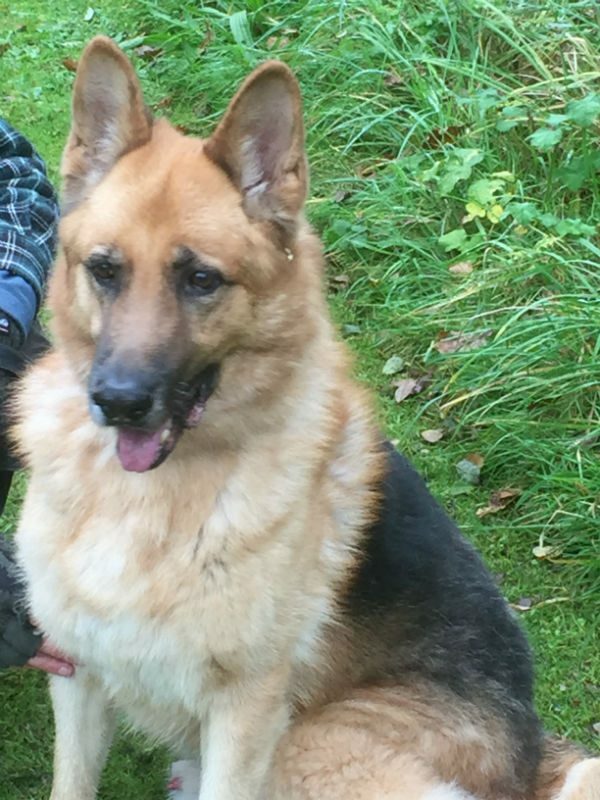 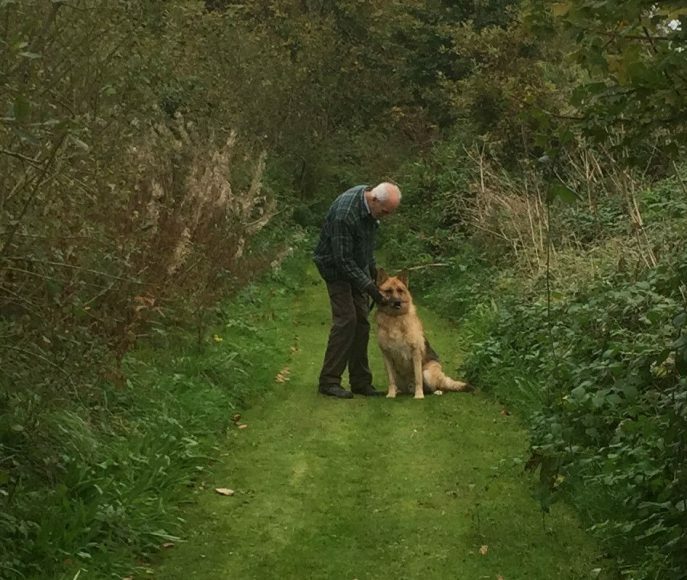 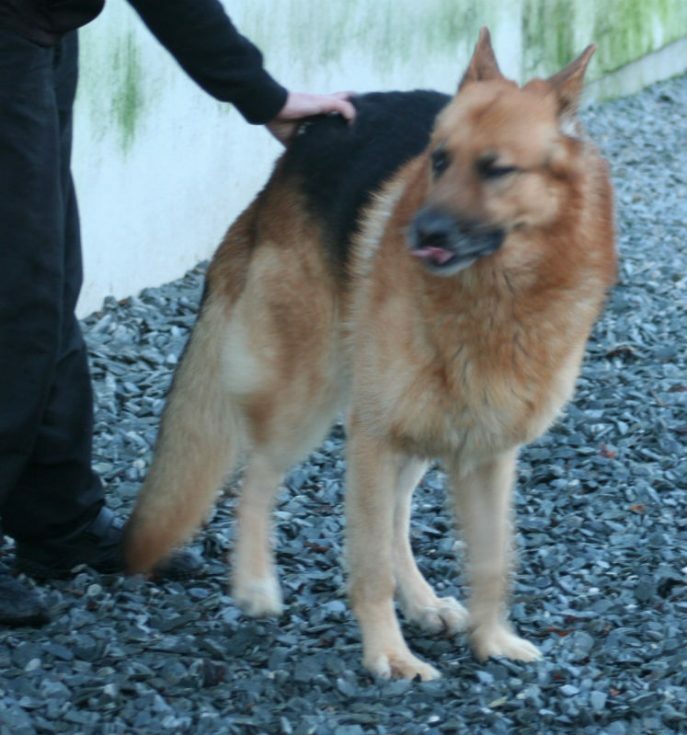 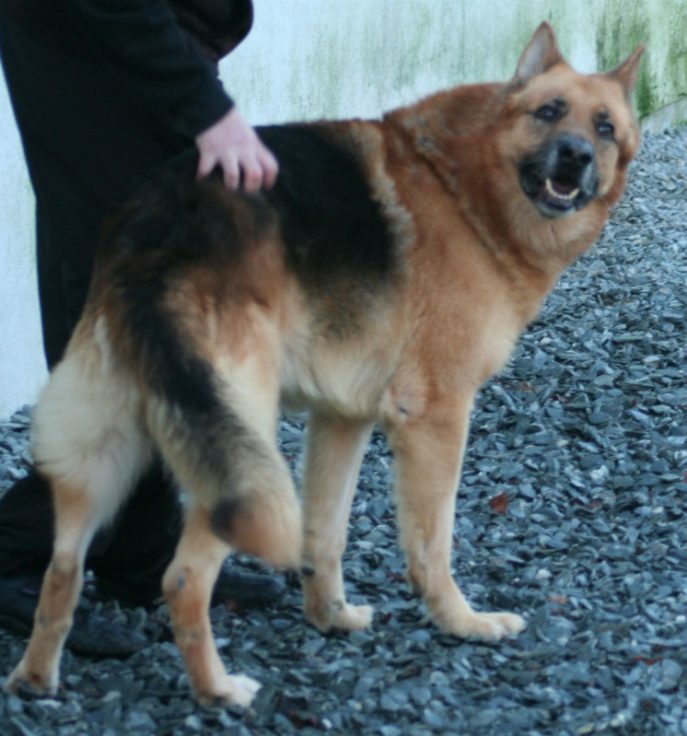 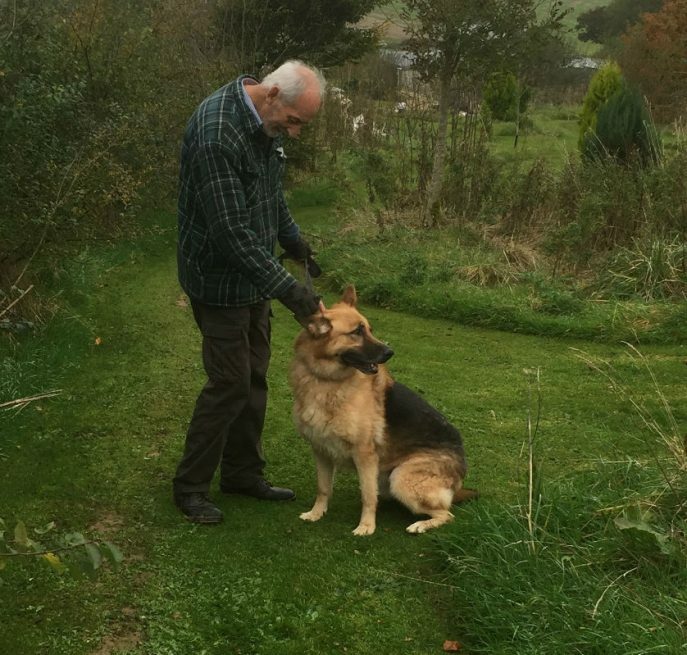 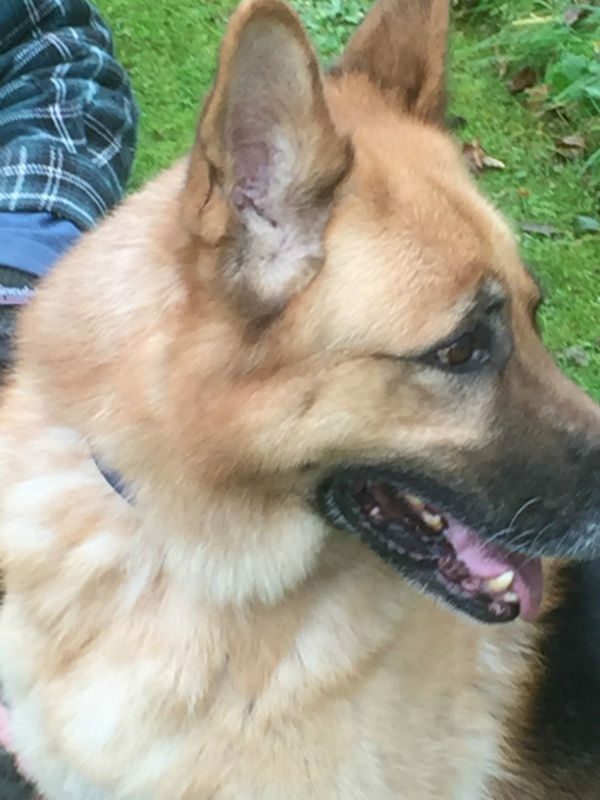 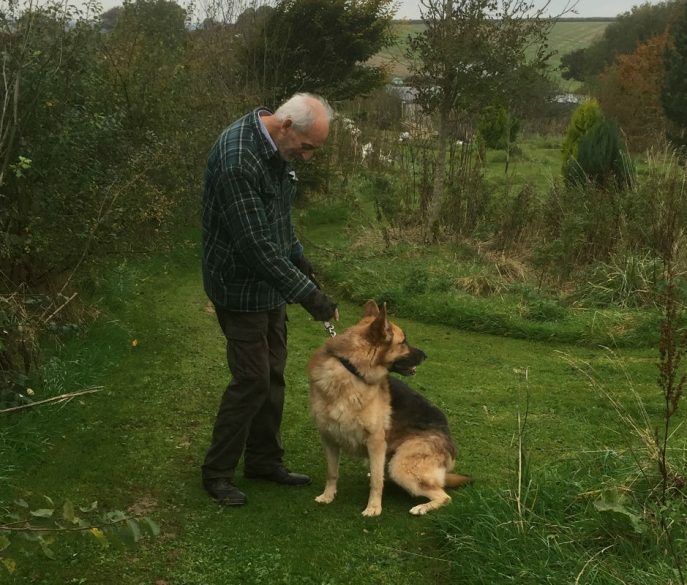 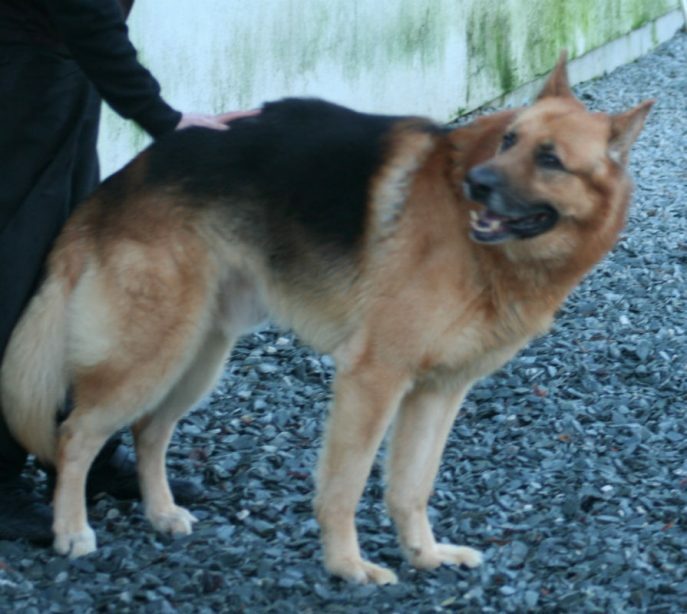 Shay has come across to us from Devon GSD Rescue. 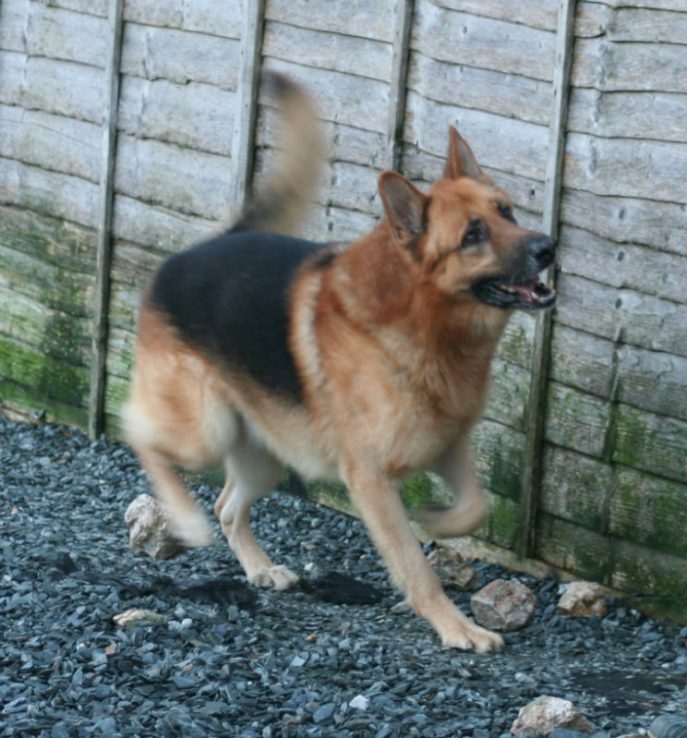 He is nearly 9 years young, now neutered and his vaccinations are up to date and he’s microchipped. 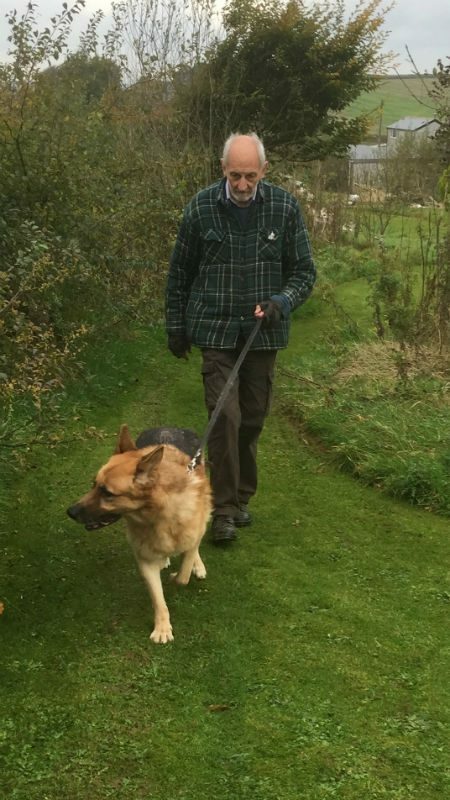 Shay originally lived with an older man who had a heart problem and felt he could no longer cope with him. 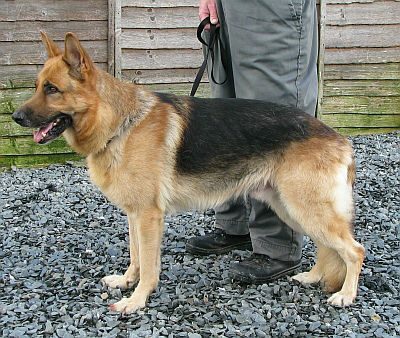 He did go to a home with another lady, but she found him very strong and she said he had a dislike of small dogs. 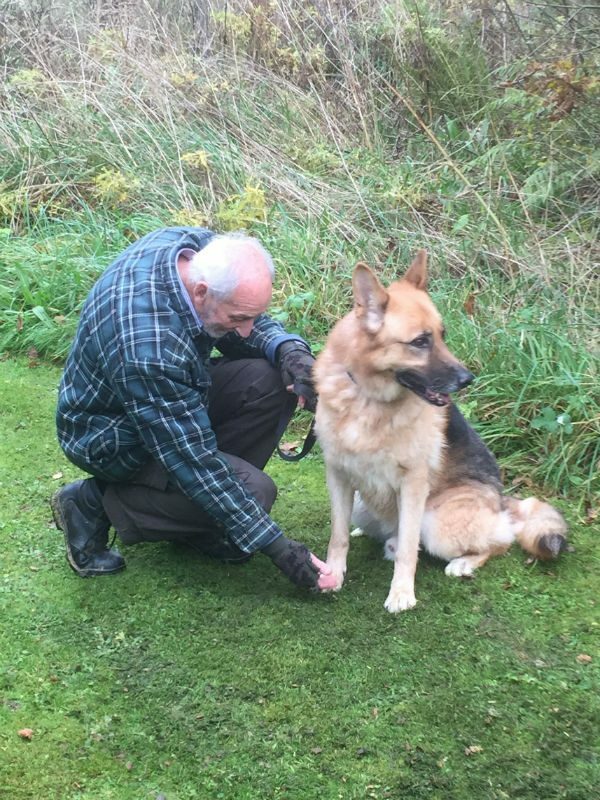 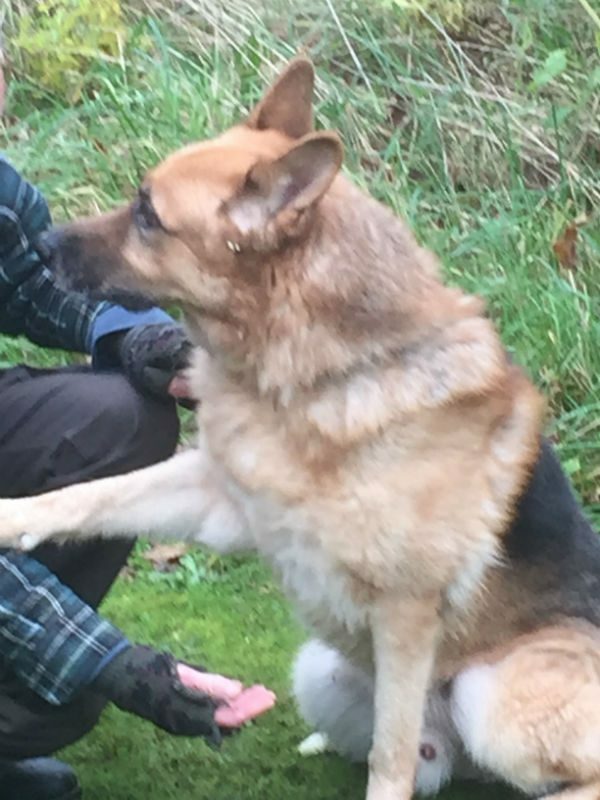 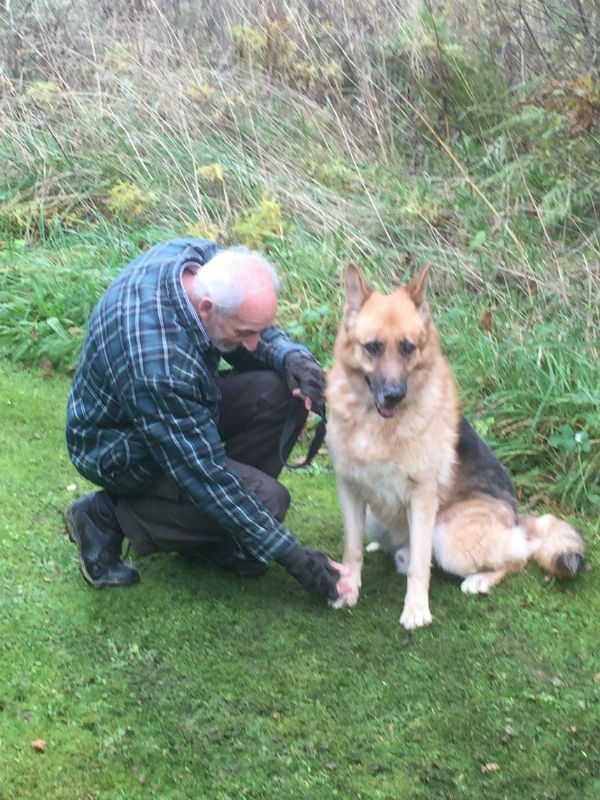 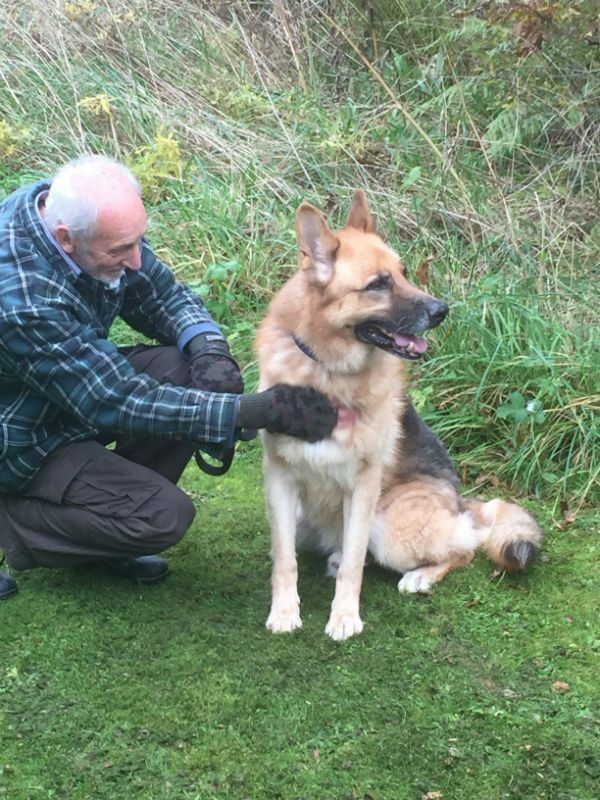 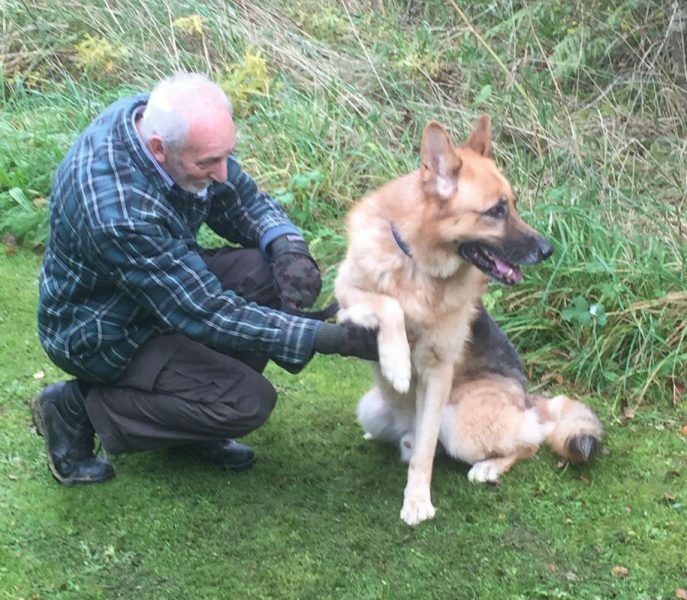 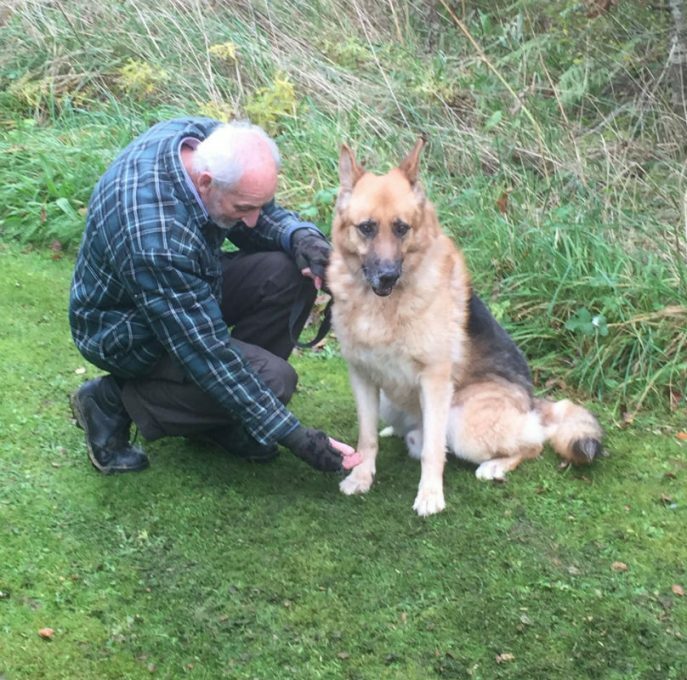 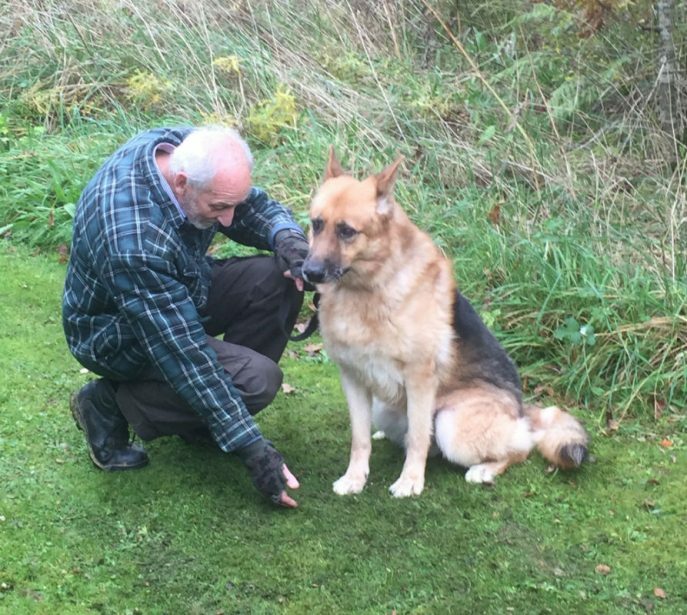 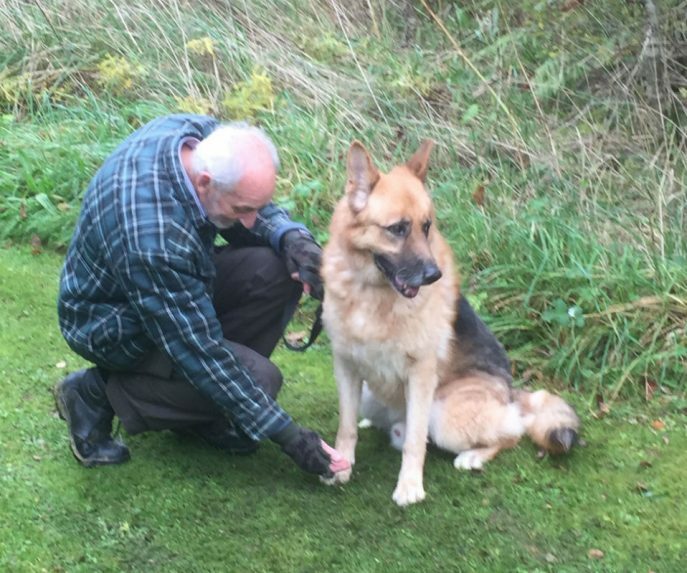 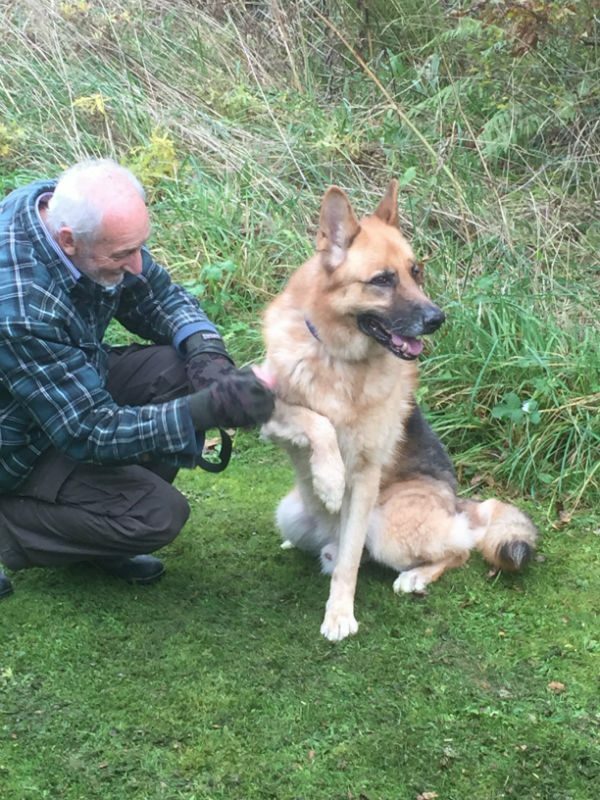 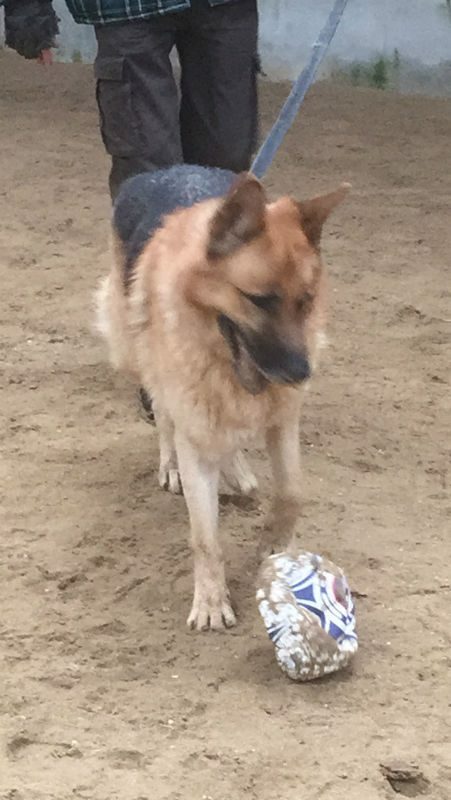 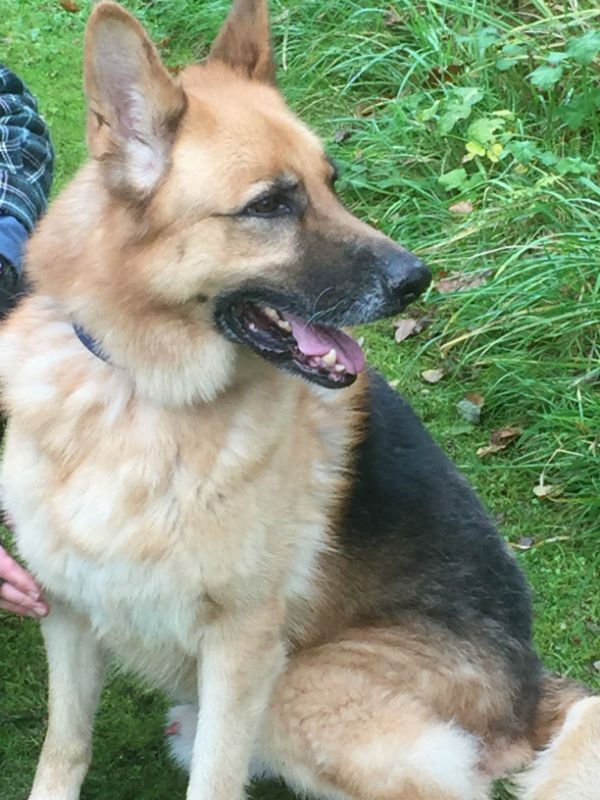 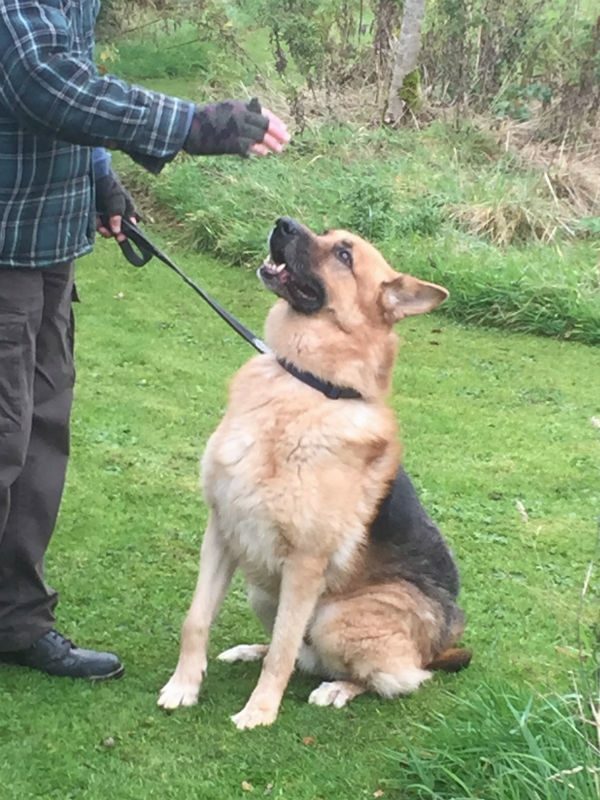 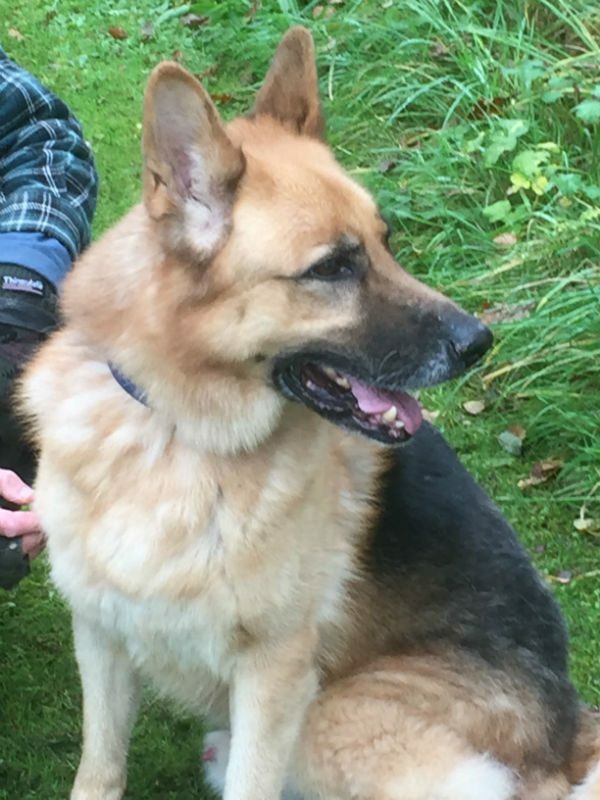 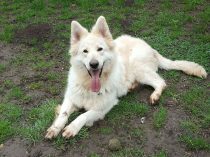 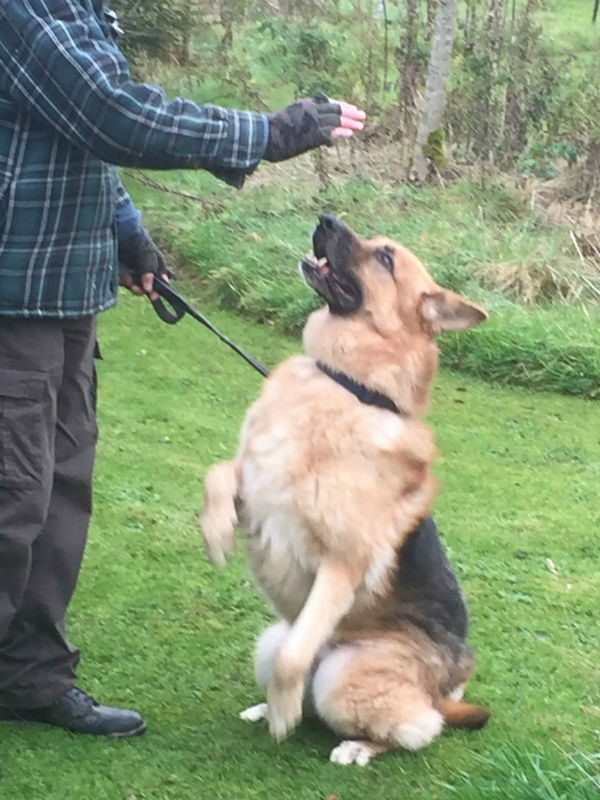 A super friendly lad with people, Shay is just a typical GSD male who needs an owner who he respects and does not feel he needs to protect. 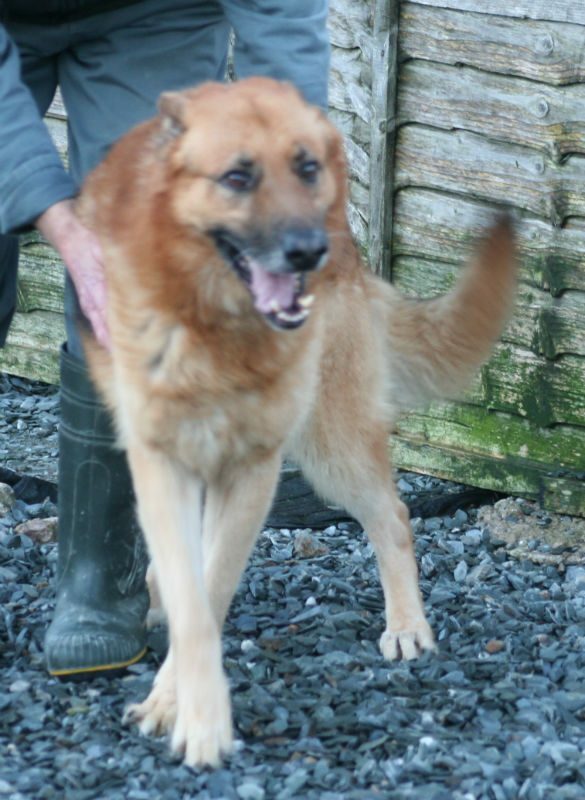 Can you give Shay the retirement home he deserves please? 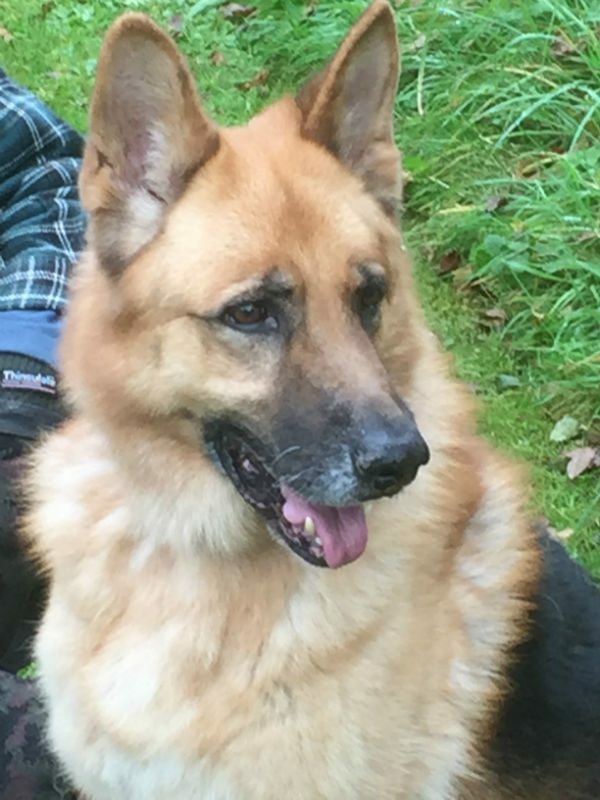 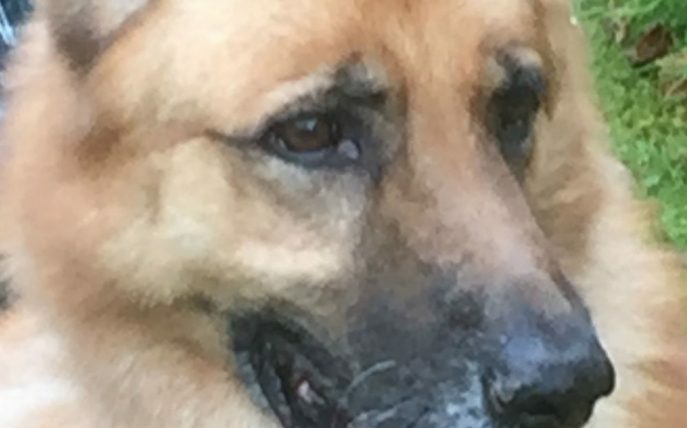 The handsome Shay has gone to Rainbow Bridge after a very short and sudden passing. 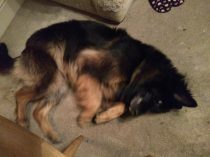 The vet thinks he had a mass on his spleen which ruptured. 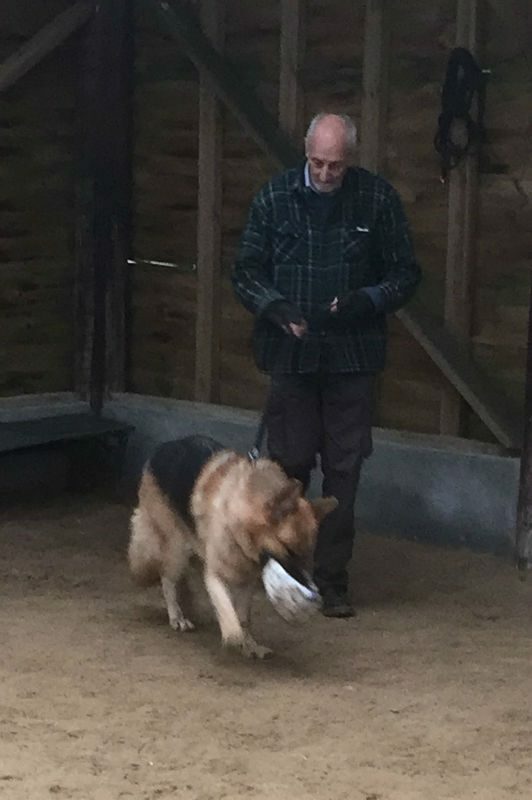 The brave lad never showed any signs until the end.